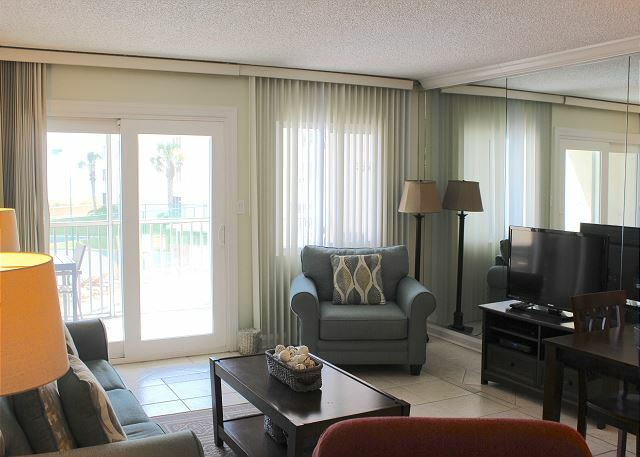 Kick back and relax in this comfortable, nicely furnished, gulf front one bedroom, one bathroom unit. 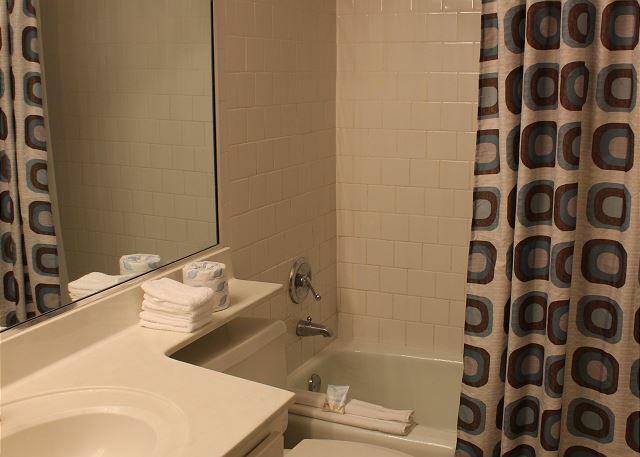 Sleeping a maximum of 4, this unit has a king size bed in the master bedroom and a pullout sleeper sofa in the living room and comes with a fully equipped kitchen. 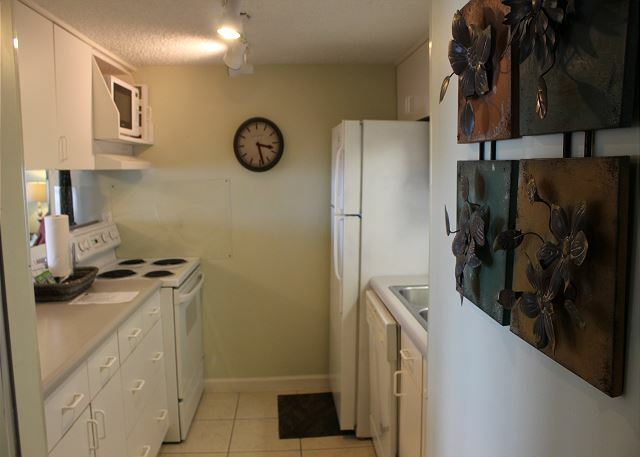 There is tile throughout and a nice, large dining room table perfect for meals of any size! 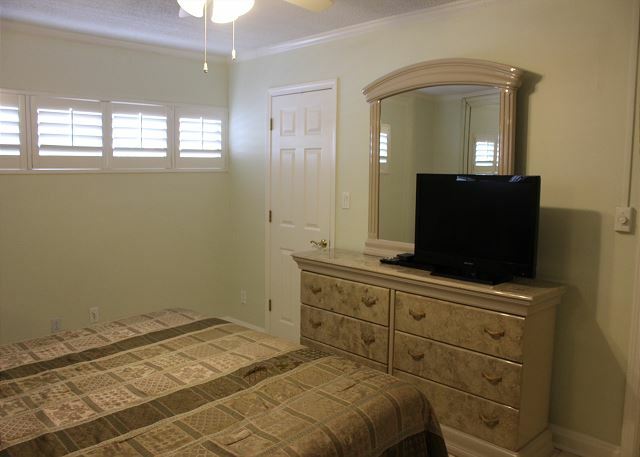 There are flat screen televisions in the living room and bedroom as well. Enjoy your morning up of coffee and watch the dolphins from your screened in patio. Give us a call and make your reservation today! Take advantage of complimentary Xplorie excursions to enhance your vacation. We had a wonderful time at the Holiday Surf and Racquet Club. The grounds and facility were well maintained. The unit we had was a little dated but clean and just what we needed. I think a unit on the 4th floor and up would have had a better view of the gulf. We had a wonderful visit. 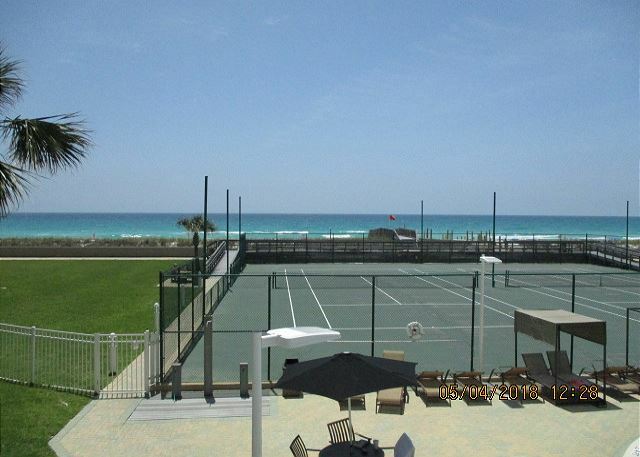 Destin is beautiful and we can't wait to return for another visit. The weather was beautiful and there is so much to do there and so many great places to eat.